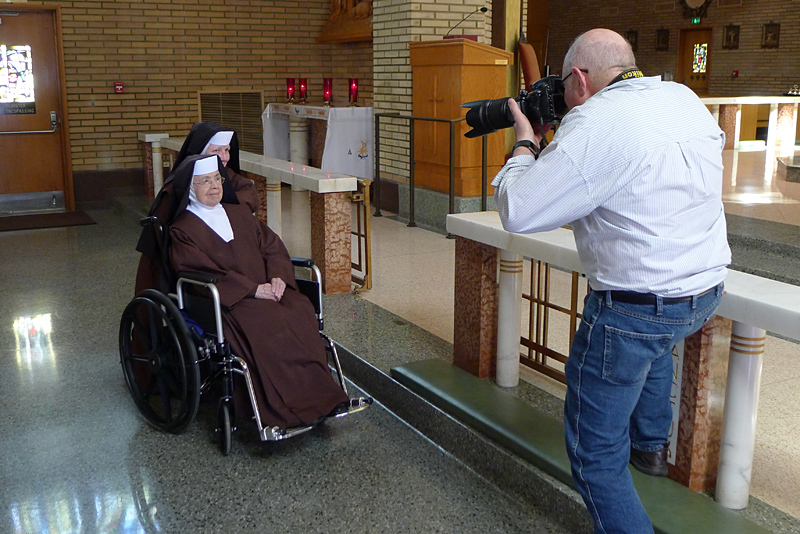 On March 14, the National Religious Retirement Office (NRRO) sponsored a photography session for the 2017 Retirement Fund for Religious materials. Heartfelt thanks goes to the senior religious who participated. In addition to their many years of service as teachers, health-care providers, pastoral ministers, and missionaries, these religious can now add modeling to their list of ministries! 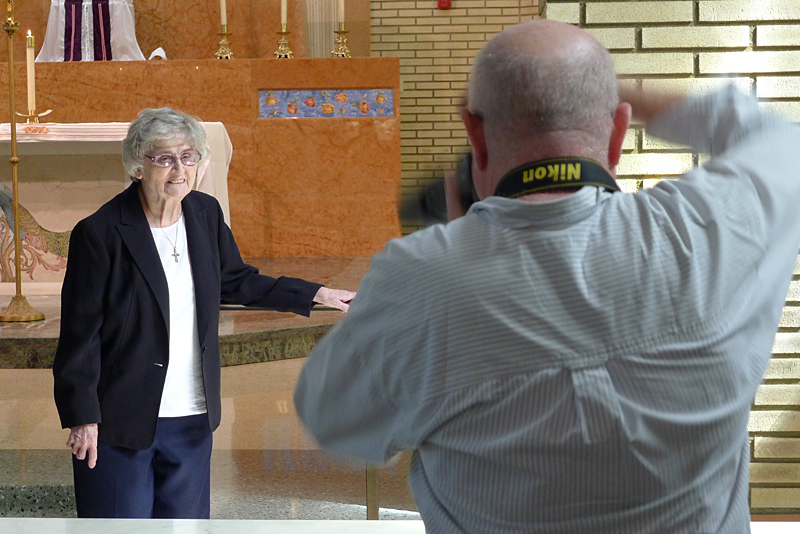 Everyone at the NRRO is grateful for their time, patience, and good humor with the photography process. Special thanks also goes to the Carmelite Sisters of Most Sacred Heart of Los Angeles for hosting the event. Father Albert Bunsic, Discalced Carmelite Friars of the California-Arizona Province, Redlands, Calif. Sister Alfonsina Sanchez and Sister Patrocinio Gonzalez, Carmelite Sisters of the Most Sacred Heart of Los Angeles, Alhambra, Calif. Sister Gloria Rodriguez and Sister Emilia Irene Lara, Missionaries Guadalupanas of the Holy Spirit, Los Angeles, Calif. 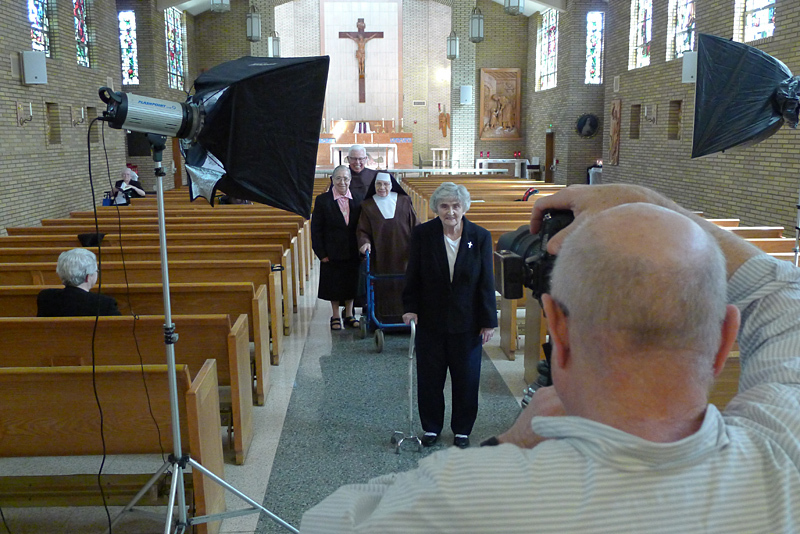 Sister Mary Ann Hanson, Sister Mary Sheila Fay, and Sister Mary Therese Kirstein, Sisters of Notre Dame, Thousand Oaks, Calif.